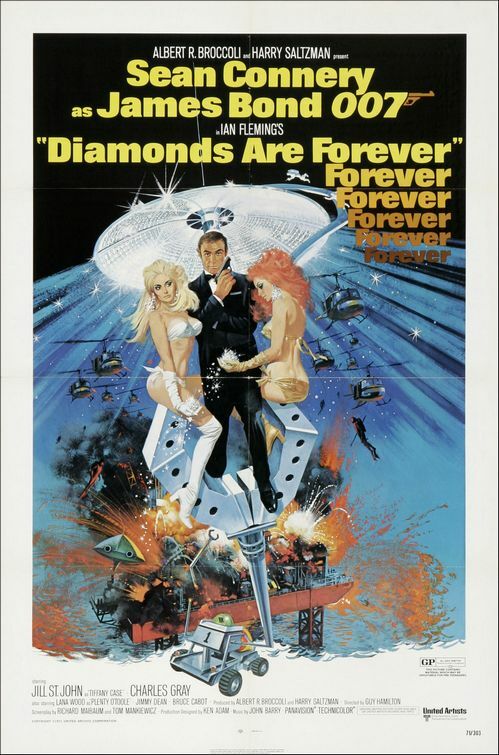 Plot: Having exacted his revenge on Blofeld for the murder of his wife, Bond is reassigned to investigate an international diamond smuggling ring which M suspects is stockpiling the goods in order to increase their value. The reality is that it’s another SPECTRE scheme to hold the world to ransom using a a satellite based laser weapon. Review: After the mis-step of On Her Majesty’s Secret Service the Bond producers spared no expense in luring Connery back into the fold and reteamed him with director Guy Hamilton. Sadly the lighting didn’t strike twice as the final outing of the original Bond winds up a tad muddled having to fit the now established formula. Although Diamonds Are Forever does try a few things new it seems unwilling to really stretch itself. For much of the story the viewer is privy to what the assassins Wint and Kidd are doing whilst Bond is working the case. This does add another facet to the movie, giving both sides of the story at once, but the campy duo are so tonally different to the dapper secret agent that it creates a sense of disconnect between the action. We have a vengeful, driven Bond put alongside two wisecracking, overly polite murderers bumping people off in creative ways. Tiffany Case as Bond’s partner is also a jumbled character, starting out as strong and capable and switching out to a bimbo and back again at a moments notice. Given the other actresses considered for the role it’s a shame that they went with the less talented St. John. 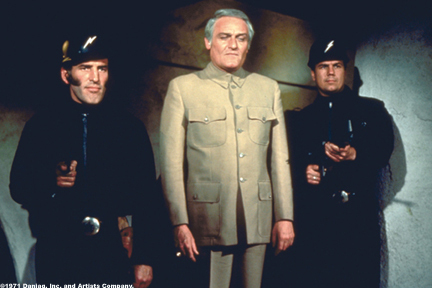 Charles Gray is something of an odd choice for the arch-villain Blofeld. The character was built up over the course of several films and then was played with a severe case of the menace by Donald Pleasence. Telly Salavas managed to carry things on well, but Charles Gray just seems far to friendly to be heading up an evil organisation. Action wise things are pretty decent. The set pieces are impressive with Bond infiltrating a desert space lab, scaling a towering casino and taking to the streets of Vegas is a Mustang. None of the big moments seem to go the distant though. Each of the major set pieces in fast paced and exciting but they’re only used sparingly with Bond heading off to the next scene in an awful hurry. Some of them end on downright silly notes, such as escaping a base on a moon buggy. It’s not all bad. The film does look great and when the action gets rolling it moves with quite a bit of speed. 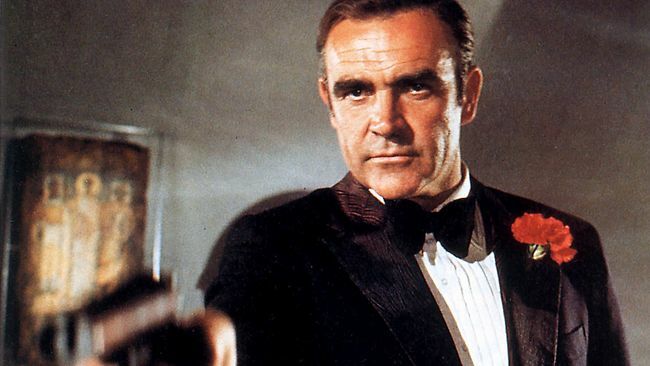 Connery is as good in the role of Bond as ever, being cool and dangerous at the same time. The plot is imaginative even though the pay off is ultimately silly. At the end of the day it’s a mid-level entry into the franchise.